Our Behavioural Economics team is led by Dr Charlotte Duke, who is a Partner at London Economics. Charlotte has extensive experience advising both private and public sector clients on the application of behavioural economics. 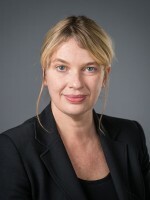 During her time at LE she has directed, managed or delivered projects for the European Commission, the European Parliament, UK regulators including Ofcom, Ofgem, and Ofwat, the Competition Commission and the Office for Fair Trading. Charlotte has pioneered in bringing behavioural economics onto the agenda for mainstream policy making and helps also private sector clients in using these tools for improving consumer outcomes. She regularly presents as a behavioural specialist at conferences and policy events. Prior to joining London Economics, Charlotte was a Senior Economic Advisor to the Victorian and National Governments in Australia. During this time she used experimental economics in the design of Australian water trading markets and worked with leading academics in the experimental economics field including Professor Charles Plott of Caltech and Professor Timothy Cason of Purdue University in the USA. Her work on experimental economics has been published in international academic journals including Ecological Economics and the Journal for Environmental Economics and Management. Dr Charlotte Duke has a Masters in Economics from Monash University in Australia, and a doctorate in Economics undertaken at the University of Melbourne in Australia and University College London in the United Kingdom.